The Valleys Rugby League Football Club was formed at a meeting of breakaway Rugby Union members and supporters, led by Rangeville school teacher Mr Bob Meibush in 1919. 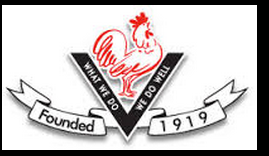 The Red Rooster emblem was adopted in 1951, but was not incorporated onto club jerseys until a later date. The Club’s first international player was E.S. Brown who was five-eight in the Australasian team which toured England in 1921-22. Since then the club has produced an additional 23 Australian players for a total of 24. The Club has enjoyed considerable success throughout its history, winning 34 A Grade premierships, the most recent of which was in 2011. With the history of the Toowoomba Valleys RLFC and their strong foundation of players and supporters, the Valleys Vultures are proud to be part of the Valleys lineup and will strive to continue their solid reputation when we take to the field in the next GQ competition! 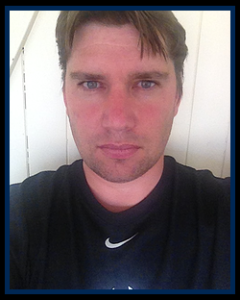 Having recently arrived in Toowoomba, Valleys Vultures Coaching Director, Steve Box brings his knowledge and skills to the new team with 14 years of coaching experience. 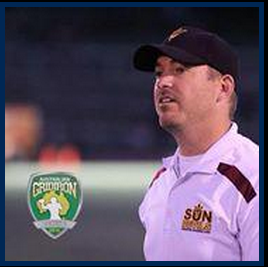 * Head Coach of the Queensland SunDevils, bringing home the Australian Gridiron League Championship Trophy with an undefeated campaign. It was the chance to support the rebirth and development of gridiron in the Darling Downs that attracted him to the Vultures. Toowoomba has a long and proud history of gridiron teams and players and with the foundational support of Toowoomba Valleys, I am excited to contribute to the Vultures in their inaugural year,” said Box. Having served as State Director of Coaching and managed elite programs, we look forward to his contribution in 2015 and beyond. Valleys Vultures Head Coach, Paul Holgate, has been involved in the wonderful sport of gridiron since strapping on a helmet for the Toowoomba Colts in 1995. In his preferred position of Running Back (RB) Coach Holgate spent a few years as a senior with the Toowoomba Chargers (1997-2002). Coach Holgate received representative honours for the Queensland State team in 2000, 2001 and 2003, as well as representing Australia as an Outside Linebacker (OLB) in 2001. Taking a few years away from the sport, Coach Holgate returned to play for the Ipswich Cougars as a Fullback (FB) in 2007-2008 and then moved into a Player/Coach role with the Toowoomba Wolves from 2009-2011.